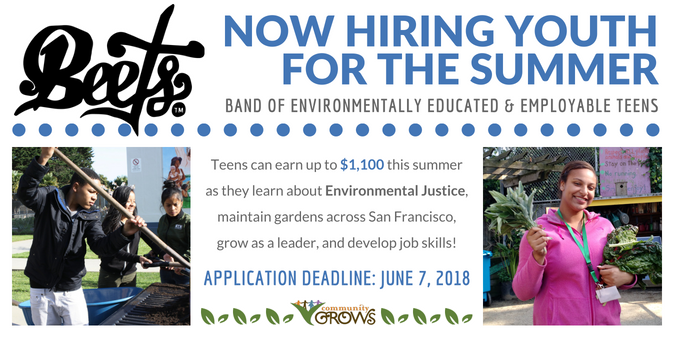 Are you or someone you know 14–19 years old and looking to GET PAID to learn more about the environment, nutrition and gain valuable job skills? We are now accepting applications for the 2019 summer session! 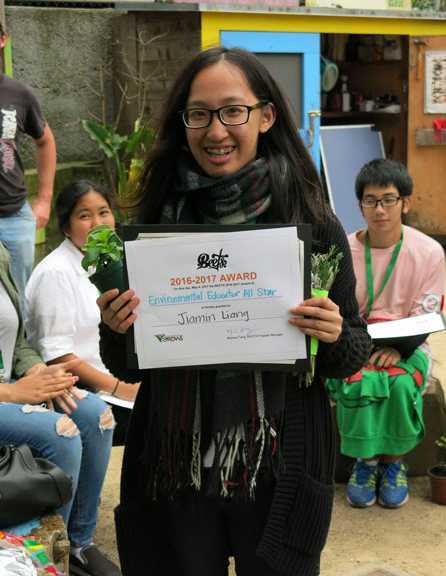 In this paid program, teens will learn how to grow healthy food, meet new friends, teach kids about the environment, and make a difference in the community through field trips and community projects. 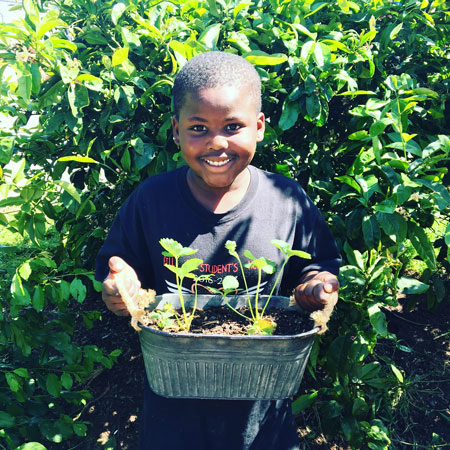 This summer BEETS will learn where their food comes from, how fresh fruit and vegetables can heal our bodies and communities, and how to grow their own food. 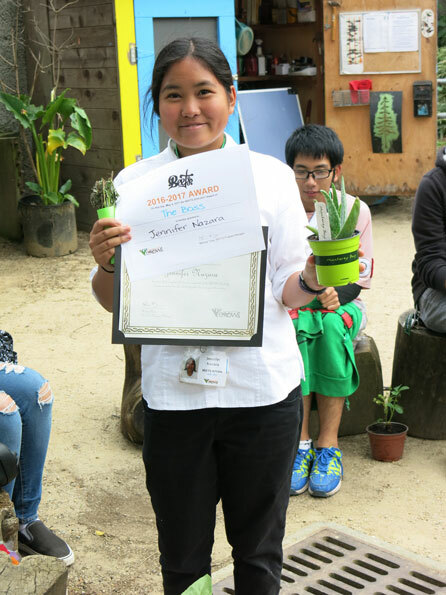 They can gain valuable leadership and job skills, all while earning a stipend! Click the buttons below to download and print an application OR fill out our online application. 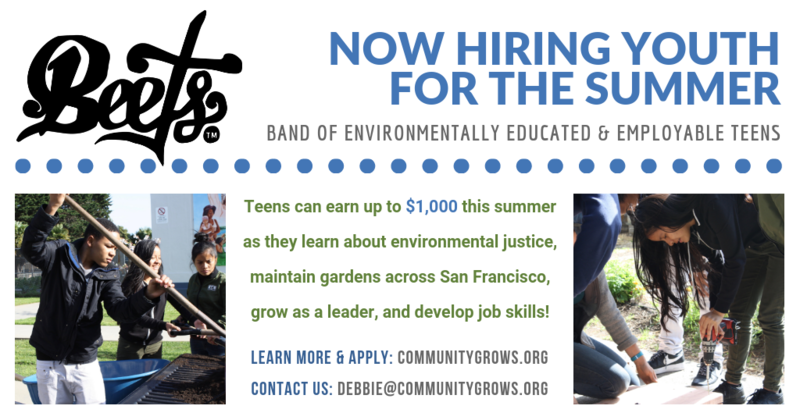 You may also email debbie@communitygrows.org or call our main office at (415) 795-3855 for more information. Are you a partner or community member? Help us spread the word by clicking the button below to download and print out our full-size flyer, or scroll down to share this post on social media. We appreciate it! 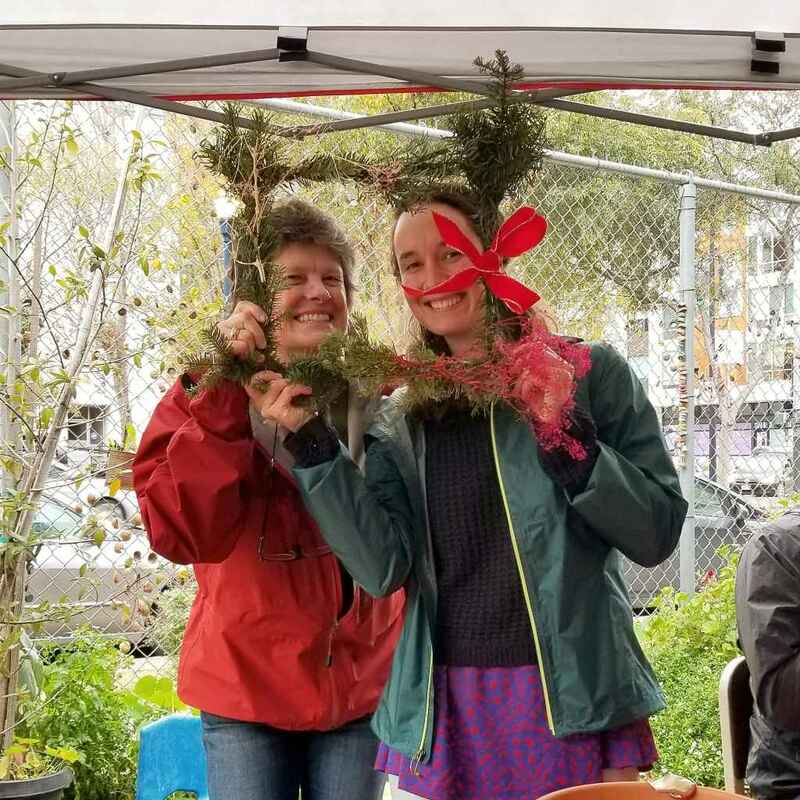 This weekend, folks braved the rain and came together with CommunityGrows for the annual wreath and card making event! 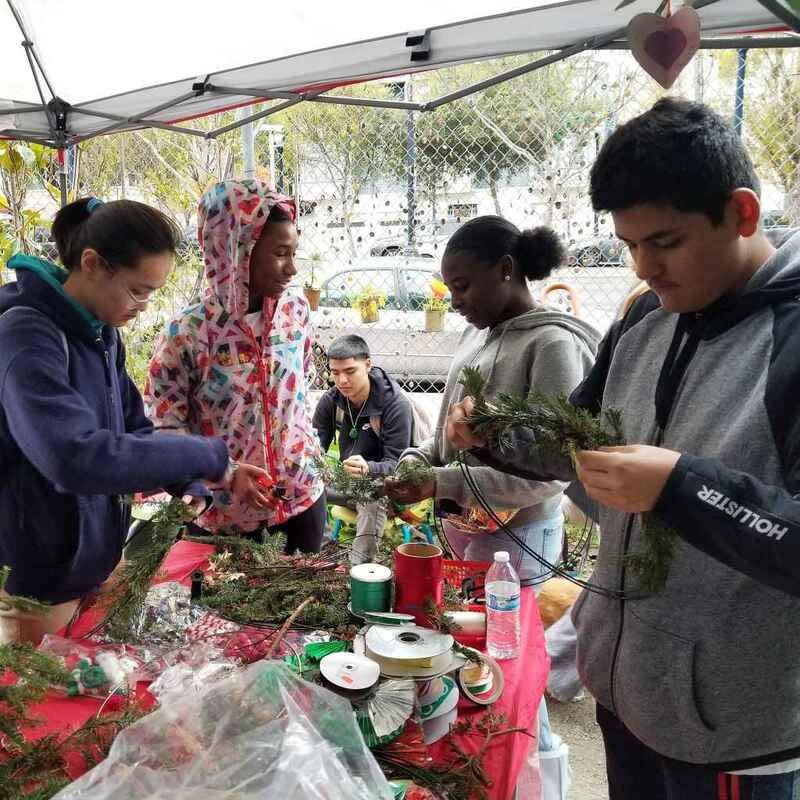 The space was cozy under the tarps, with hot cider in hand, holiday music playing, and friends chatting as everyone created their masterpieces. 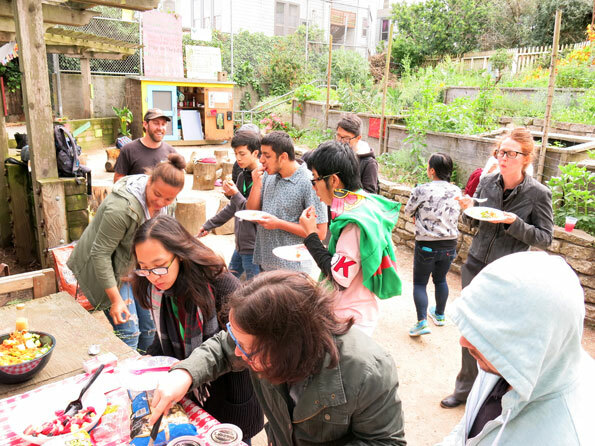 We are so grateful to Hayes Valley Art Works and Friends of the Urban Forest for being so welcoming and sharing their space! 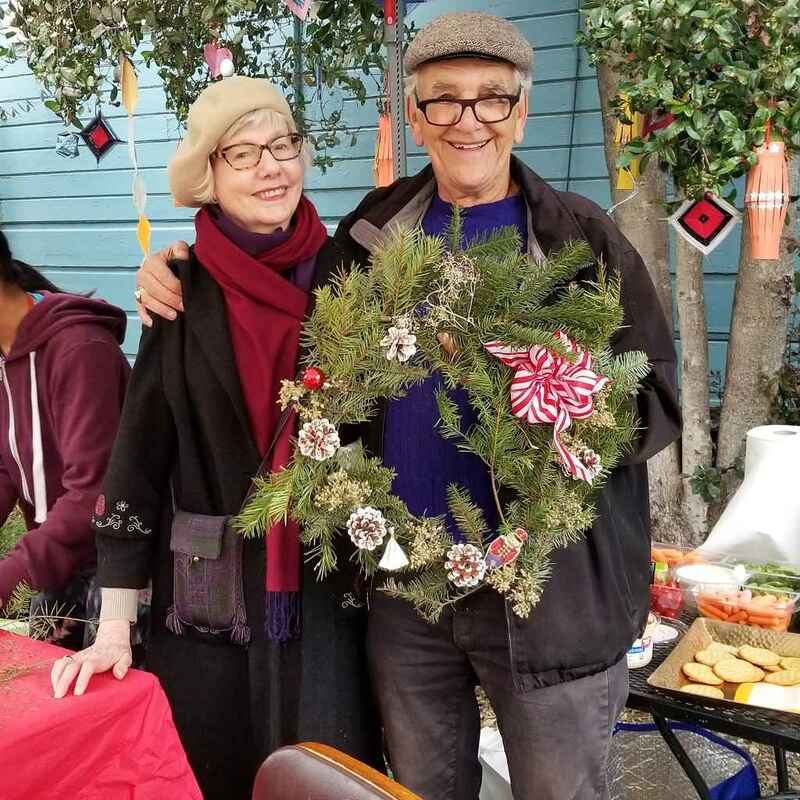 One of the best parts of the wreath and card making event is seeing everyone’s different personalities shine through their decorations and drawings! 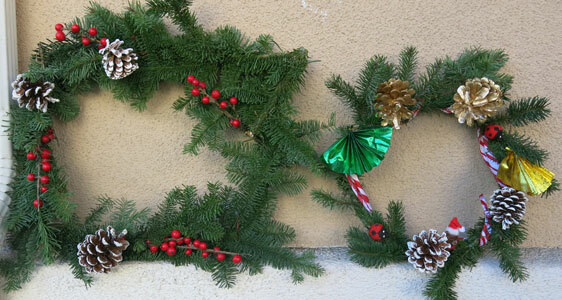 While some kept their wreath simple, others went bold and shiny, and others still created forest themed designs. One thing is certain though, each one had style! 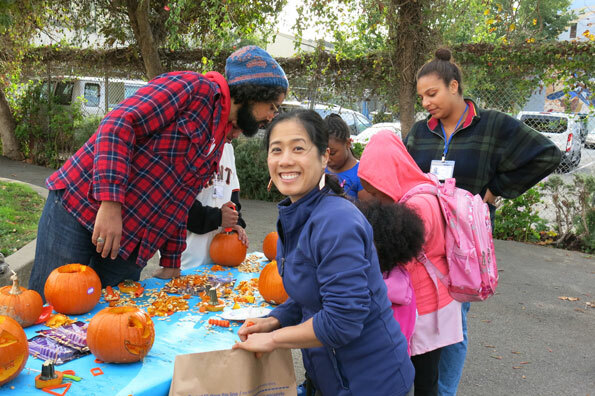 Happy Holidays from all of us at CommunityGrows! 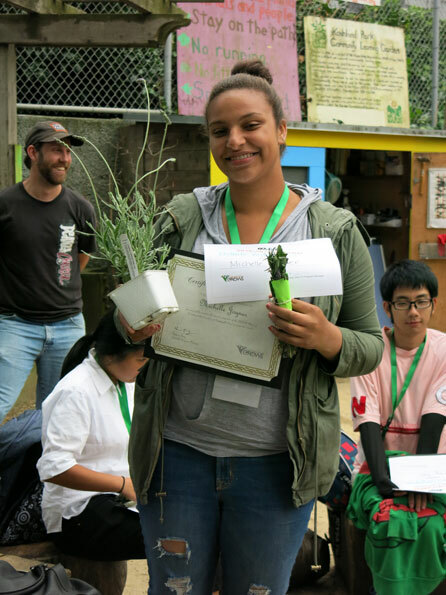 Help our youth flourish in the garden this spring! Your spare change — and even part of your dinner bill — can add up to BIG change for kids in the Western Addition. Starting Monday, May 7th, CommunityGrows will be the featured partner in 4505 Meats’ “Feed the Pig” program! 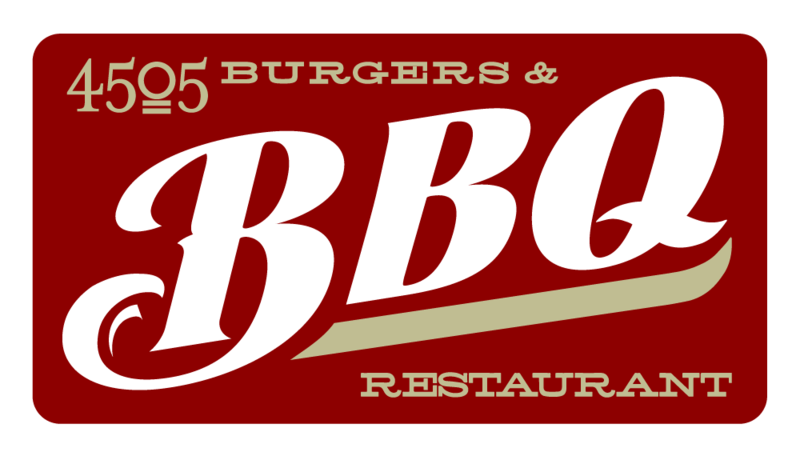 Please stop by 4505 Burgers & BBQ on Mondays in May and June and they’ll donate a portion of sales to support our garden-based youth programming. 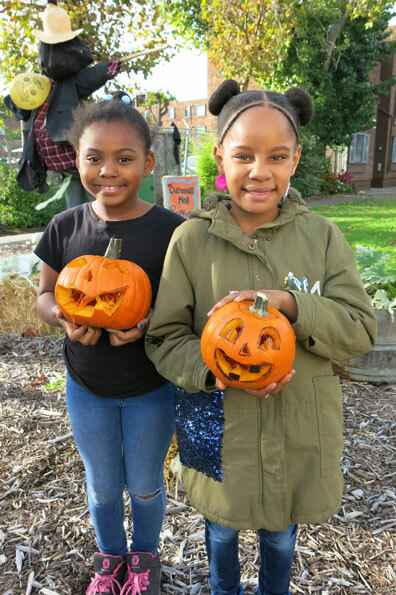 Put your spare change to good use and cultivate garden and nutrition education in your community! 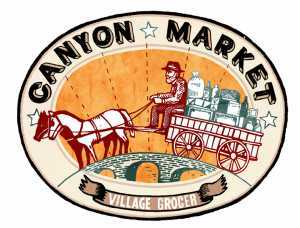 Stop by Canyon Market anytime during the months of April and June and “round up” your grocery bill to support vital youth programming with CommunityGrows. 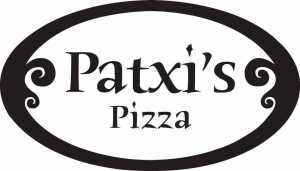 Visit Patxi’s Pizza in Hayes Valley on Wednesday, April 25th and support local youth programs with CommunityGrows! 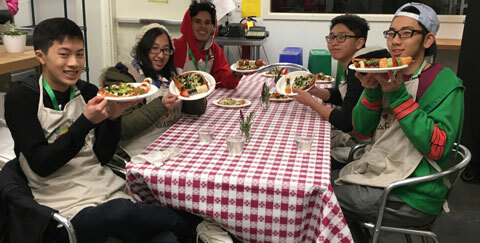 Patxi’s will donate 15% of dine-in and carry out sales on that day to our environmental and nutrition education and job training programs for youth in the neighborhood. CG is always grateful for contributions from our friends and neighbors, great or small. 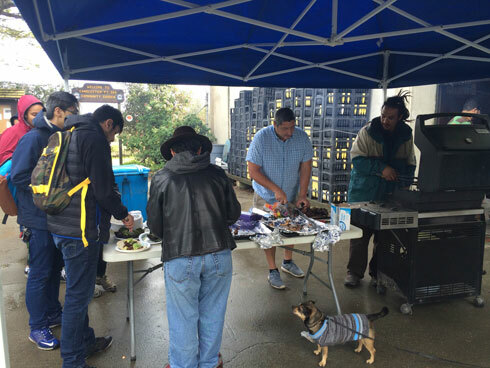 Abundant thanks to 4505 Meats, Patxi’s Pizza, and Canyon Market for teaming up with us on our shared mission! 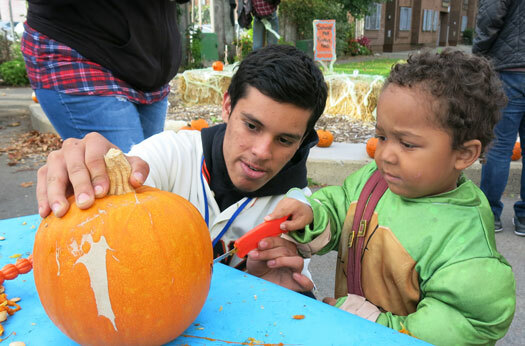 On Friday, October 20, 2017, youth and adults from nearby housing complexes came out to enjoy the fall weather and carve pumpkins to decorate Buchanan Mall. Citizen Film planned the event and built a scarecrow and laid straw bales. 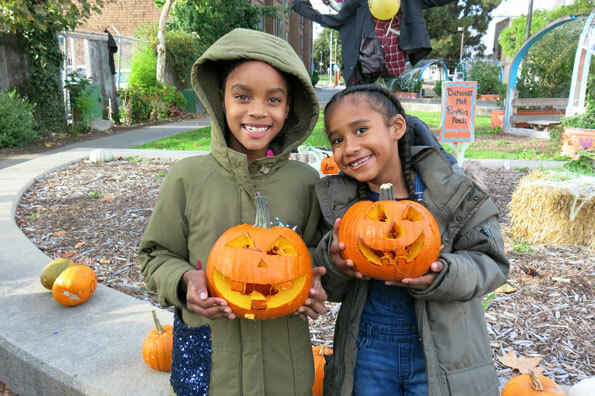 With the help of CommunityGrows staff, Melissa Tang (Director of Programs) and Osceola Ward (BEETS Program Manager)… …and BEETS (Band of Environmentally Educated and Employable Teens) Michele and Elius… …youth chose their pumpkins, drew faces and commenced cleaning out the seeds and carving. 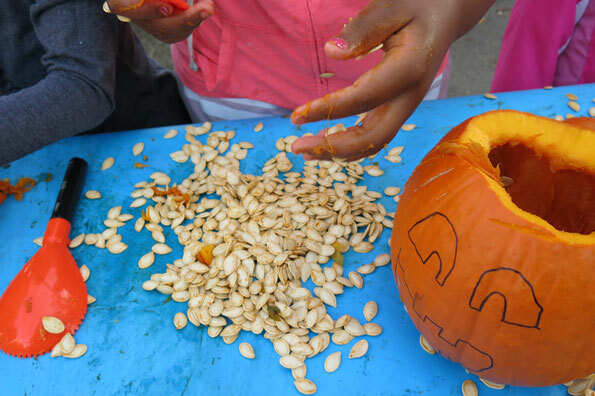 Lots of slimy work… …but the results paid off! Pumpkin pie was another highlight. 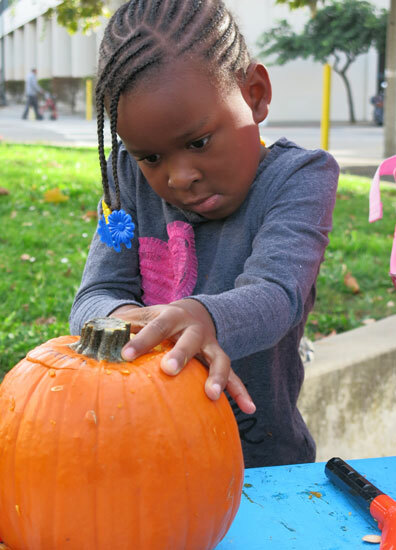 Everyone got to take their creations home to remember a great afternoon celebrating the fall season! For more photos, check out our Flickr Photostream here. 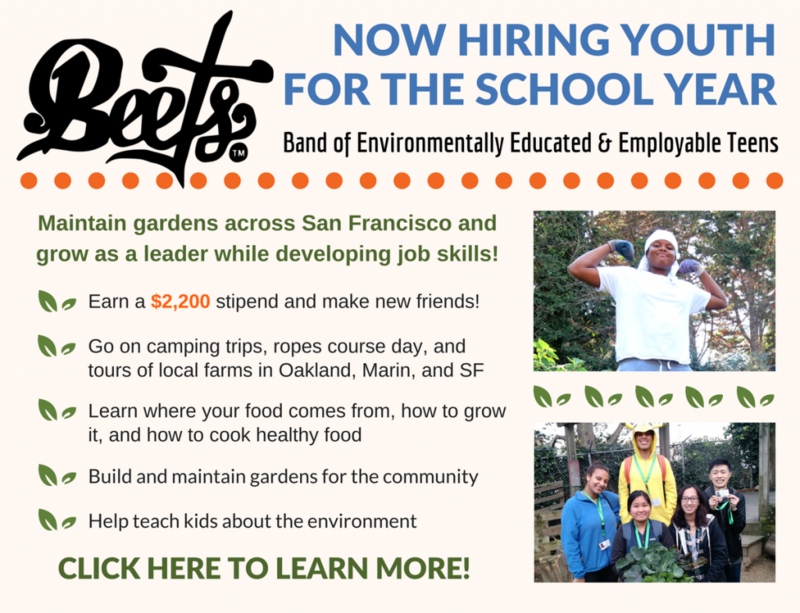 Now hiring for 2017-18 BEETS program! Attention BEETS applicants: we’ve extended our deadline! 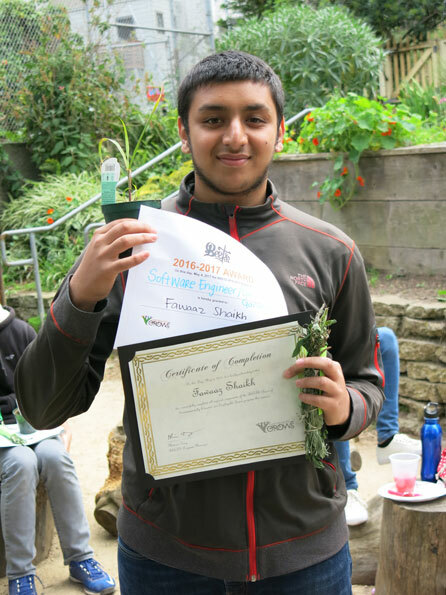 BEETS will gain skills around landscape design, outreach and communication, and project management. 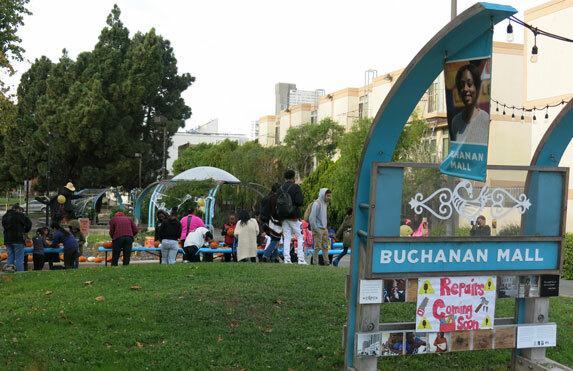 This year we are working with partners to create garden spaces along the Buchanan Mall! The application deadline is rolling! Apply TODAY! Download the application below or email Osceola@CommunityGrows.org for more information. Thursday, May 4, 2017 the Fall-Spring BEETS Cohort graduated. 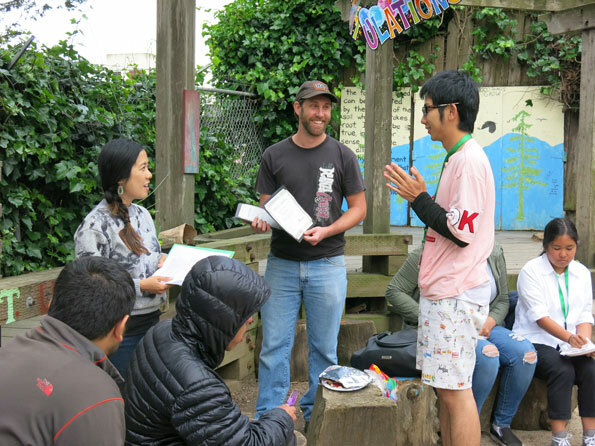 The CommunityGrows staff celebrated the past eight months of their accomplishments with a slide show and BBQ in Koshland Garden. 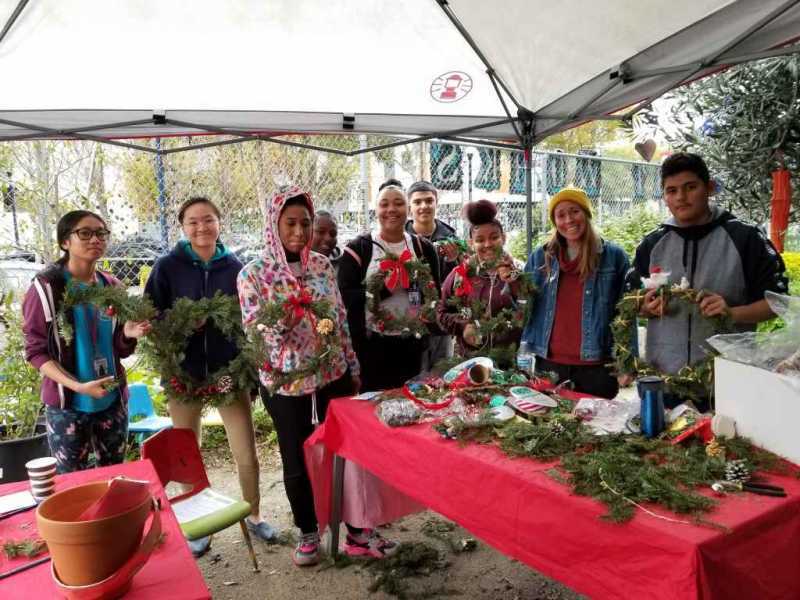 The BEETS program is a stipended, hands-on, outdoor learning experience that provides roughly 20 youth each year with life skills and job-readiness training. 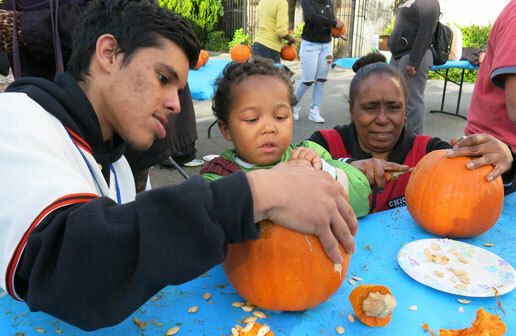 The program aims to help youth live healthier lives and build skills for successful futures, with the goals that youth will: learn to make positive choices in their lives, in their community, and for their environment; acquire job skills to prepare for the workforce and futures; and develop supportive relationships with adults and peers. 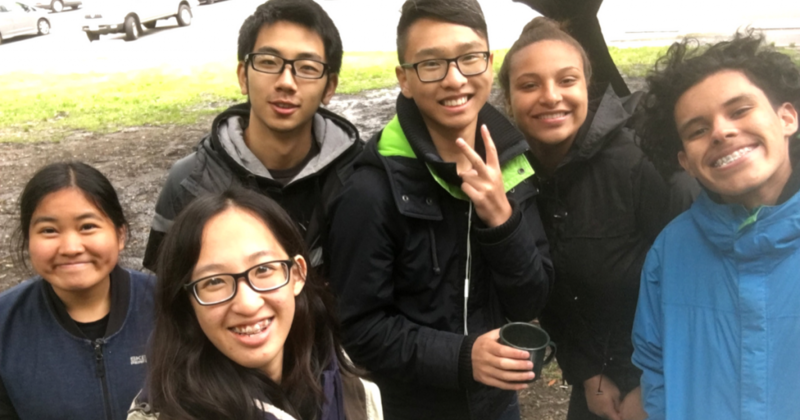 The new model we launched for this cohort in October 2016 lengthened the BEETS program over the academic year and focused on a project learning component. It was a year of growth and adventure for these eight young adults. 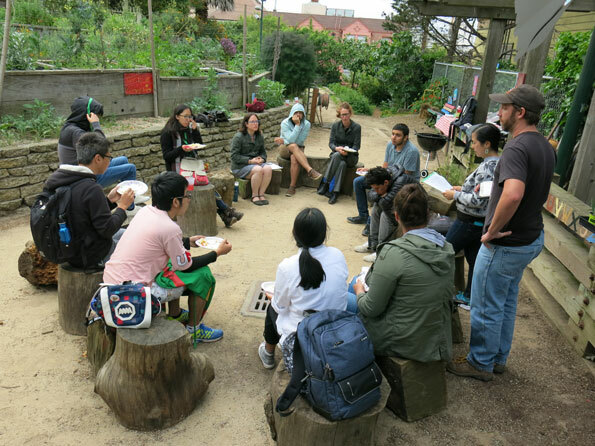 During the fall, the BEETS completed workshops and trainings on garden maintenance, soil knowledge, planting methods and water conservation. They also completed a ropes course together, bonding and practicing trust and teamwork. 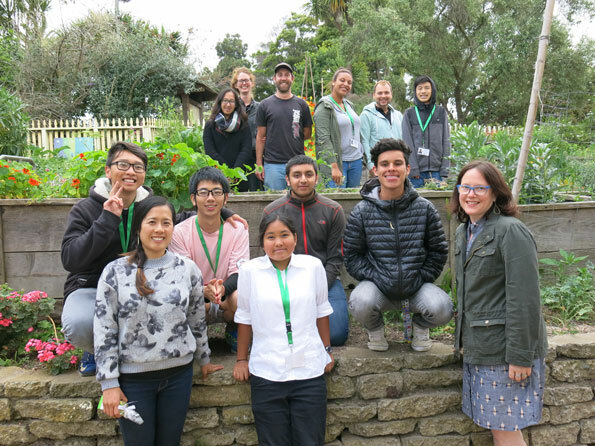 They also learned more about food access and justice-particularly the importance of communities having access to fresh, affordable and nutritious food. 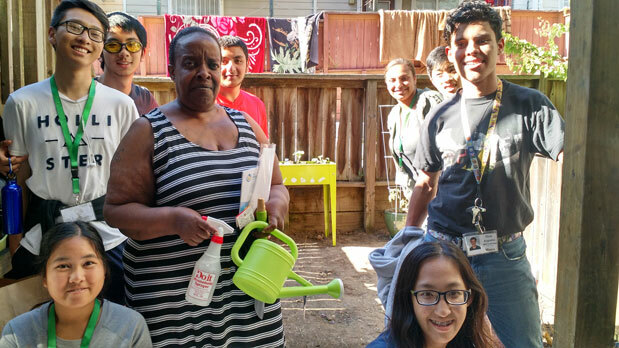 The learning component scheduled for this cohort allowed the BEETS to work with residents at Plaza East, a subsidized housing community in the Western Addition, to create patio gardens and garden care guides. This project was also an opportunity to explore incorporating a revenue generating component into the program. 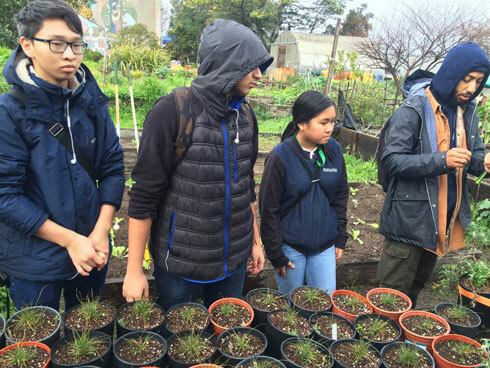 They learned how to build container gardens from a horticulturalist and entrepreneur who owns her own landscaping company in San Francisco. 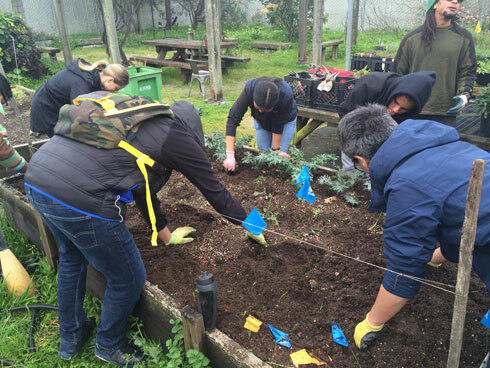 There have been positive results in changing up the BEETS Program with an extended period. 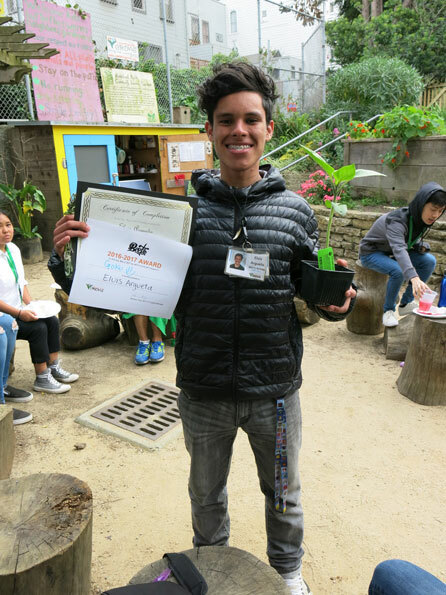 The BEETS have been able to expand and deepen their learning about gardening, the environment and nutrition; their relationships with each other and staff have grown stronger; and they have expressed appreciation for the increased earning power and financial literacy. With consistent earnings they have been able to create and follow personal budgets which they check throughout the year. 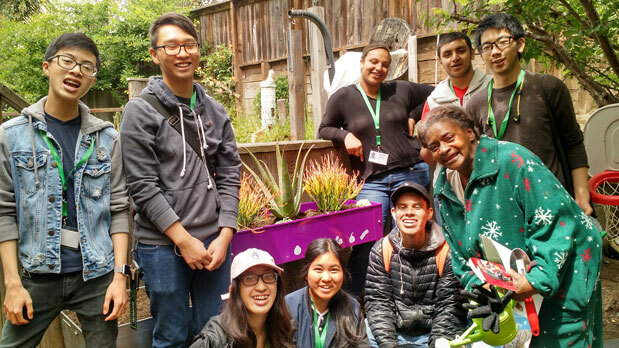 The project-based learning component has expanded their job skills, improving their resume and their real-world work experience, and given them a sense of ownership and pride within the community. We also anticipate that the longer time will strengthened their resume and make them more competitive in the workforce post-program. 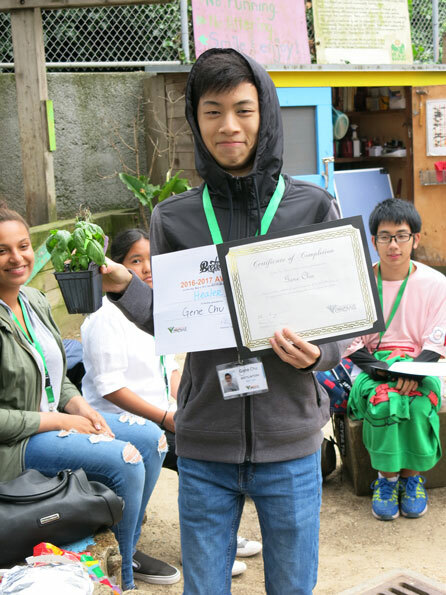 Base on a mid-point survey, 100% of our current cohort thinks they are learning valuable life skills through the program and 100% of participants apply what they learn through the program outside of the program at least once a week. 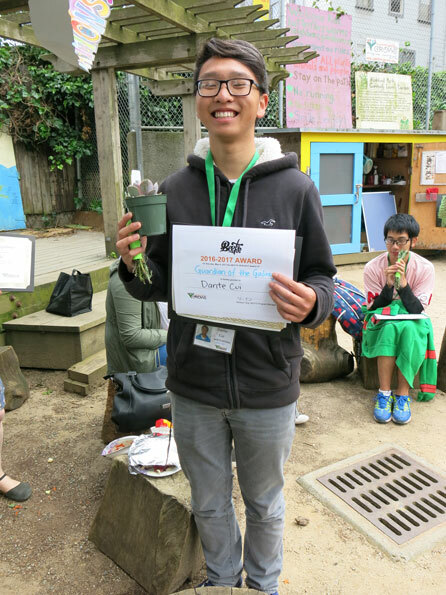 “This session is better [than the shorter session] because I’m closer to the BEETS and this time I was able to achieve my goals because we had more time to work on them,” Barry, a second year BEET said. Cultural relevancy is vital to the work we do. 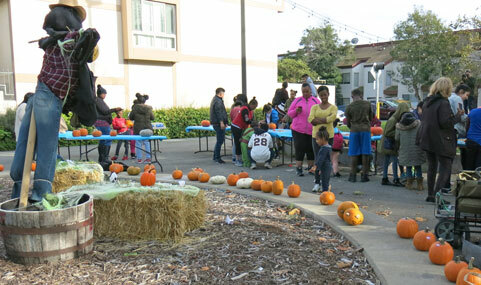 Indeed it is the only way to support low-income and youth of color in San Francisco who are continually displaced from their homes and neighborhoods. For many of the youth we serve, the “environment” is distant, distinct from their everyday lives and concerns. 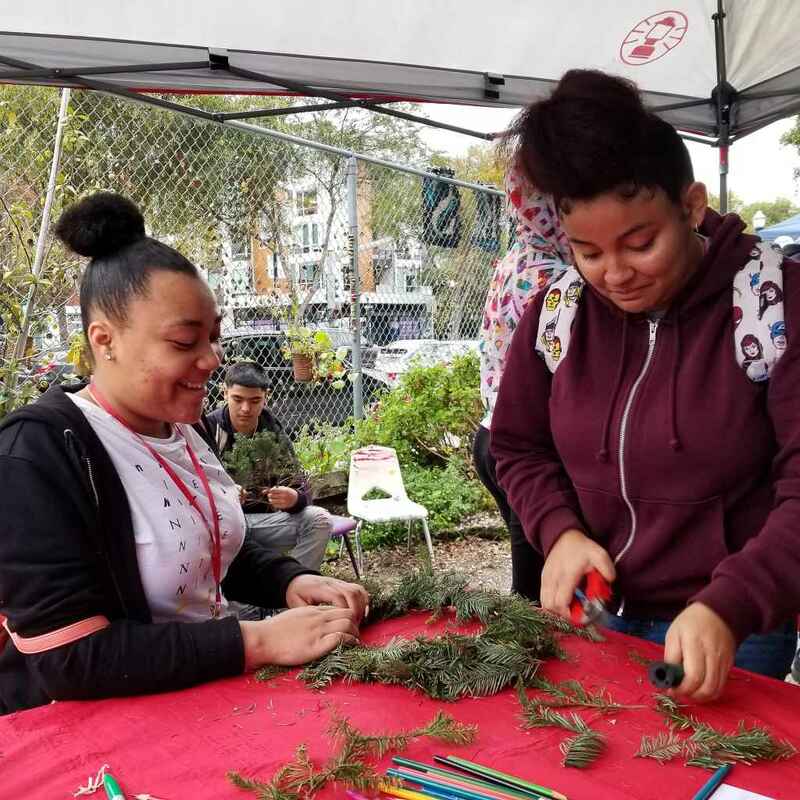 We work to help youth feel safe and welcome outdoors by co-creating and maintaining green spaces in their neighborhoods and connecting them to other youth who look like them and also care about the environment. 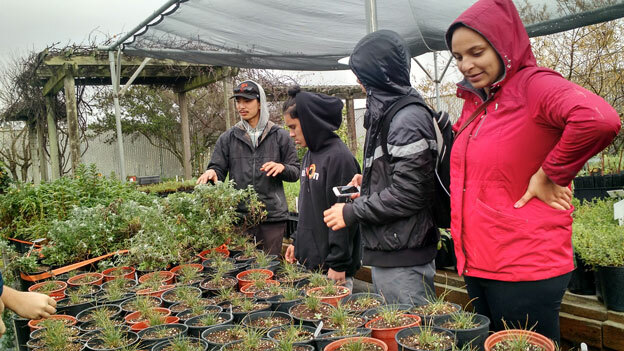 Our goal is for the teens to connect physically with the outdoors as they learn how they can combat environmental and food injustices which disproportionately impact their bodies and communities. Thank you also to Jaromy Siemers and Liz Holm from our Advisory Board for joining us in celebrating the BEETS! 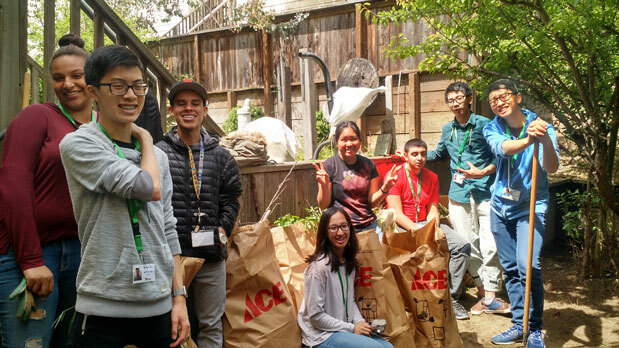 Our Fall-Spring cohort of BEETS (Band of Environmentally Educated & Employable Teens) embarked on a special project to improve the backyards of seniors living in Plaza East Apartments. 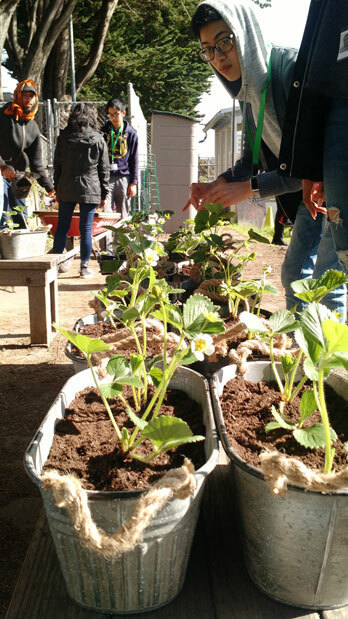 They spent months preparing for the project by learning how to consult with residents, design container gardens and create a garden care guide based on what they learned. 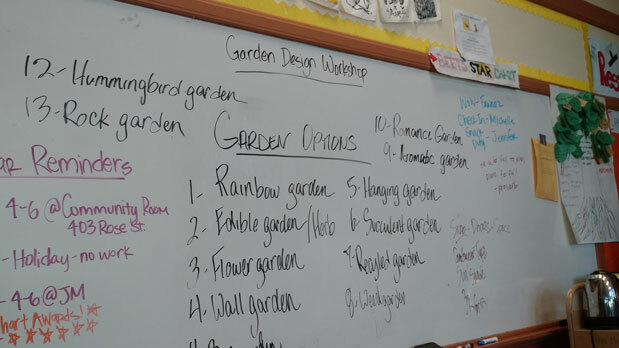 The garden guide highlighted the importance of growing organic, having healthy soil, weeding, mulching, watering and pruning. It also had advice on pest management. 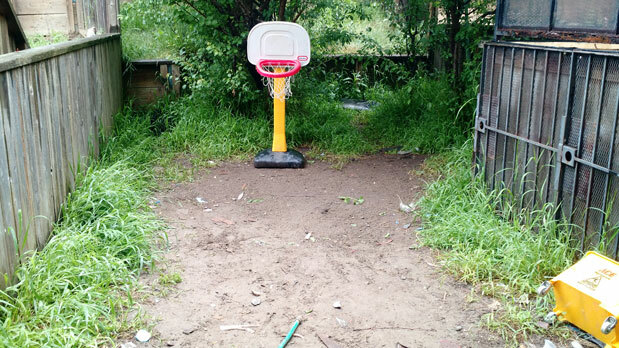 With a lot of sweat and love, the BEETS transformed overgrown gardens into spaces with endless possibilities. 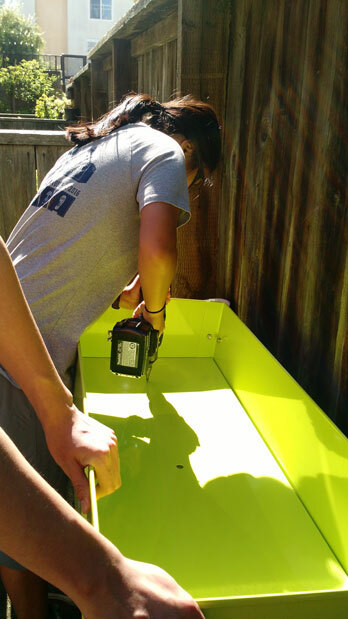 They also worked with the resident to design and build a container garden for their new space. 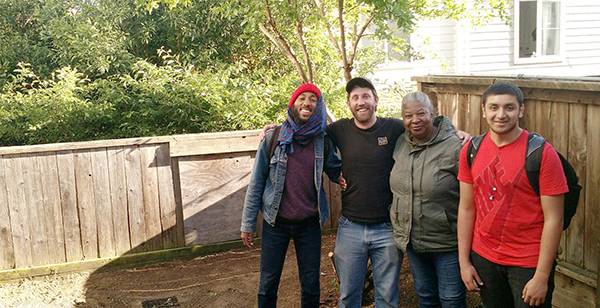 All three residents received a maintained yard, new container garden, a garden tool kit and a garden care guide. 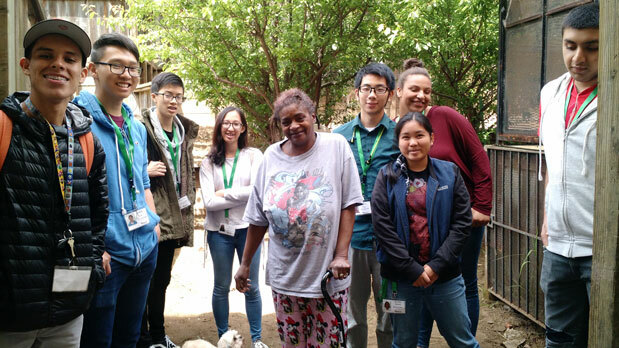 One resident said, “I can actually see myself out here in the yard.” We hope our three seniors can spend more time outside in their yards to practice their gardening skills, exercise, get some fresh air and to simply smell the roses. On February 25, 2017 from 11-4 PM the BEETS held court at the Mind, Body and Soul Community Pop Up at Ella Hill Hutch in the Western Addition. The Pop Up utilized a focus on wellness to provide health services that are affordable, accessible, and consistent in the Western Addition. BEETS Michelle. 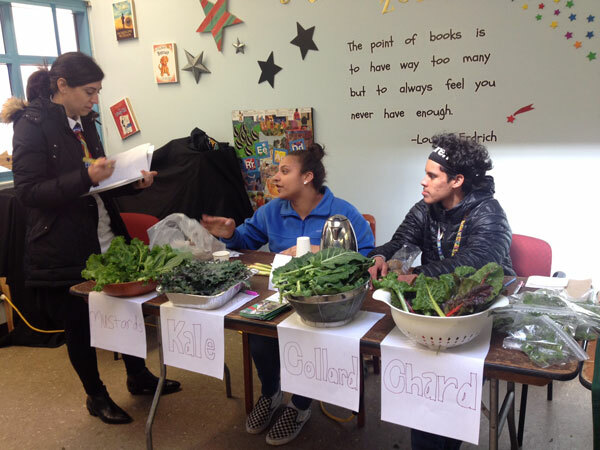 Eluis and Fawaaz prepared a table with healing spices and vegetables, including mustards, kale, collards and chard for people to sample and take home. 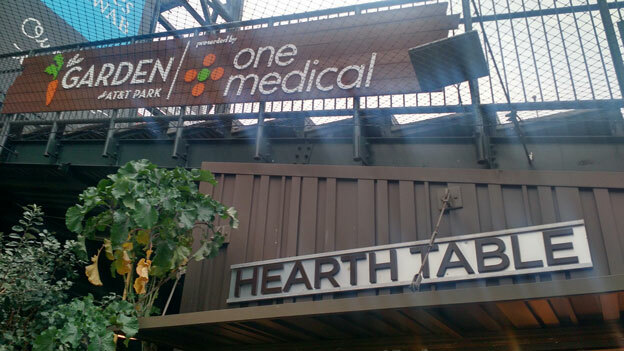 They talked about holistic medicines that come from the healing benefit of spices such as black peppercorn, cinnamon, cumin, ginger, cloves and cardamon. 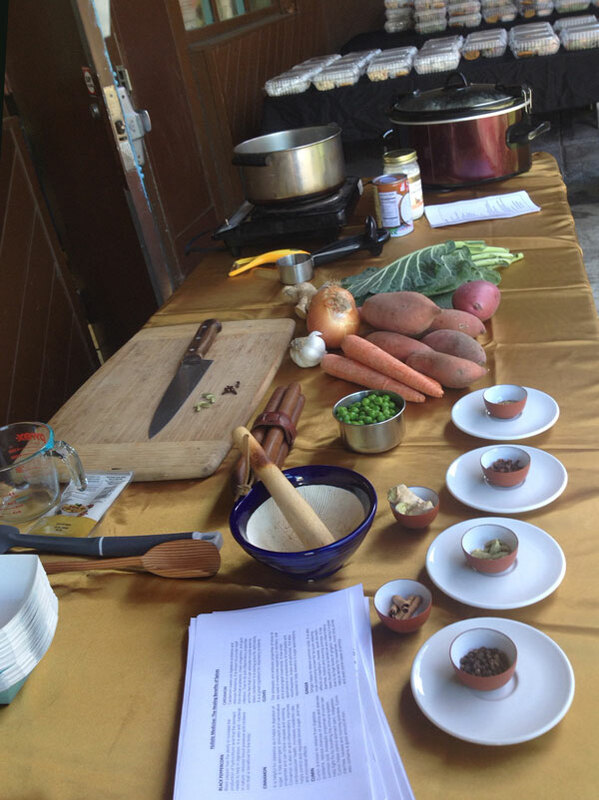 Crystal Leon, Community Grows Seed-to-Mouth Cooking Instructor, prepared: Kerala Vegetable Stew for all to sample. Please enjoy! Heat 3 tablespoons coconut oil in a pan. Add onions, ginger, cinnamon & crushed spices. Suté onions till translucent. Add chopped potatoes and carrots. 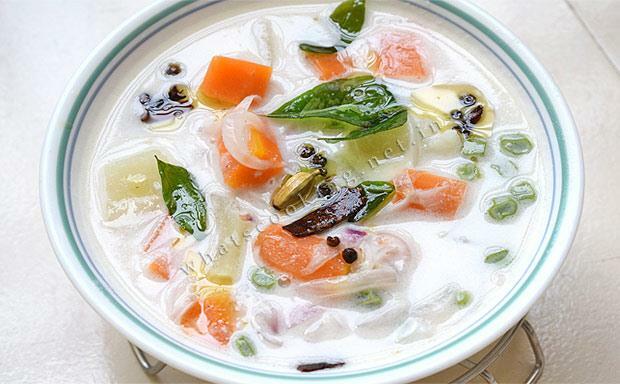 Mix with onions and spices. Cook for 5 minutes, stirring occasionally. Stir in chopped collards, cook an additional 5 minutes. Cover the pan with its lid and simmer on a low to medium heat till the potatoes are cooked (check and stir, about 5 minutes). Add coconut milk. Mix very well and gently heat through for a minute or two. Remove cinnamon stick before serving. *Optional: Serve over steamed brown rice. 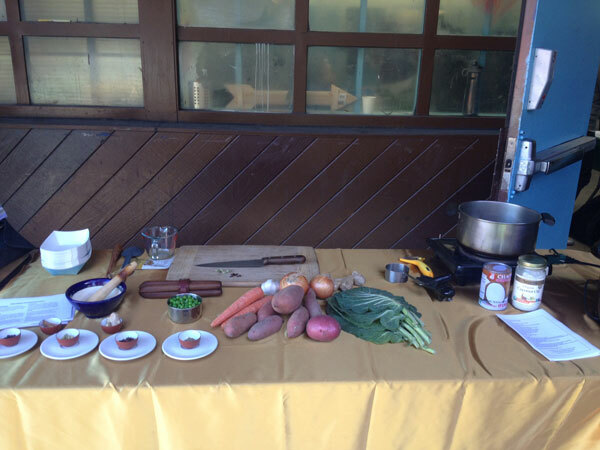 Your recipe today, spotlights healing herbs & spices! On Saturday February 4, 2017 the BEETS visited Literacy for Environmental Justice (LEJ). 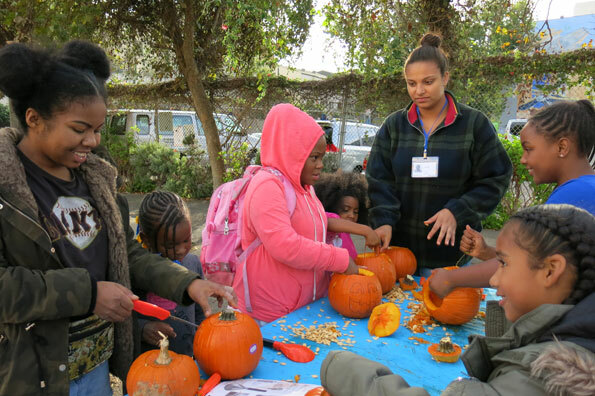 LEJ promotes ecological health, environmental stewardship, and community development in Southeast San Francisco by creating urban greening, eco-literacy, community stewardship and workforce development opportunities that directly engage and support local residents in securing a healthier future. Their site is located at Candlestick Point State Recreation Area in Bayview Hunter’s Point in San Francisco. 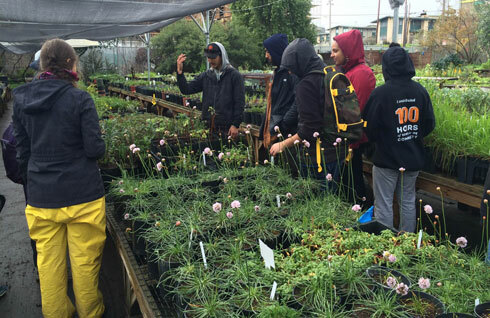 The BEETS and LEJ teens worked together in the Native Plant Nursery sharing their experience with growing vegetables and natives. 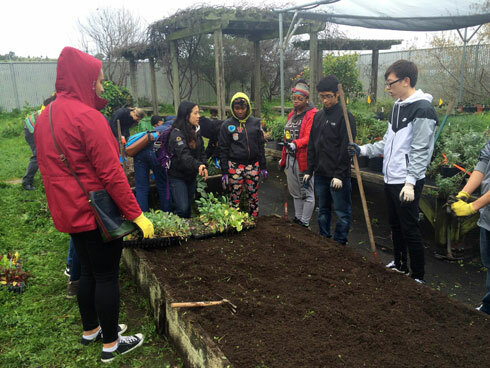 After clearing out some beds, The BEETS talked about vegetables and how to plant them with the seasons.They worked with the LEJ teens to planted peas, cabbage, collard greens and lettuce. 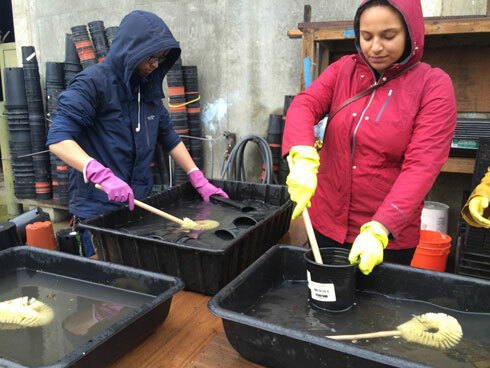 It was great to have everyones energy to clean up the nursery and help wash pots and equipment. 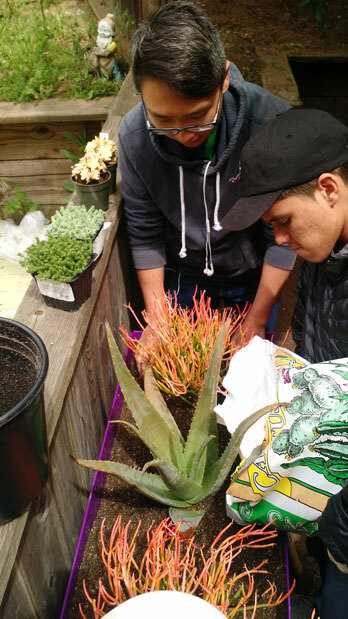 The LEJ teen gave us a tour of the nursery and advised us on what plants might be good for our container gardens at Plaza East housing development. We ended the day with a yummy BBQ hosted by LEJ. 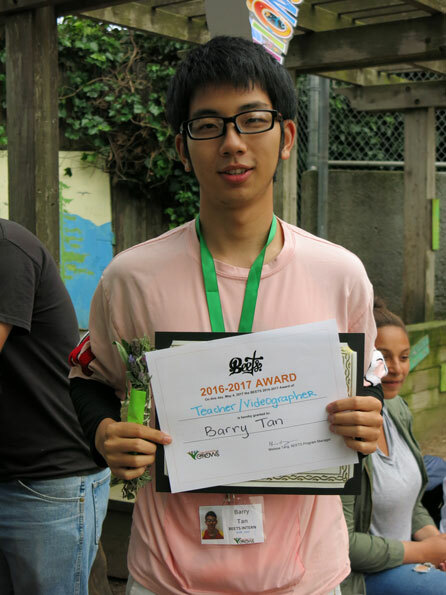 Barry Tan, a BEET supplied the photos for this blog. Thank you LEJ and everyone for a great day! 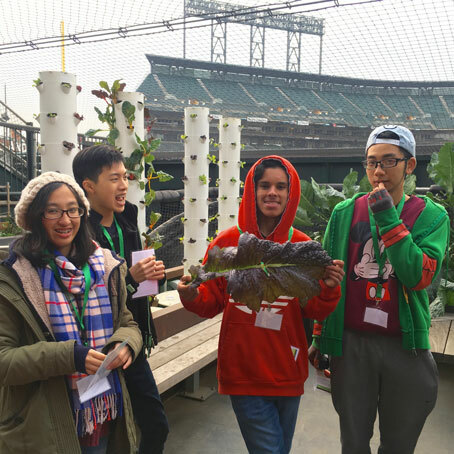 On Tuesday, January 17, 2017 the BEETS (Band of Environmentally Educated and Employable Teens) enjoyed a cooking day at AT&T Park. The park, home to the San Francisco Giants also hosts a beautiful garden. It is a 4,320-square-foot patch, located just under the scoreboard behind the centerfield wall. 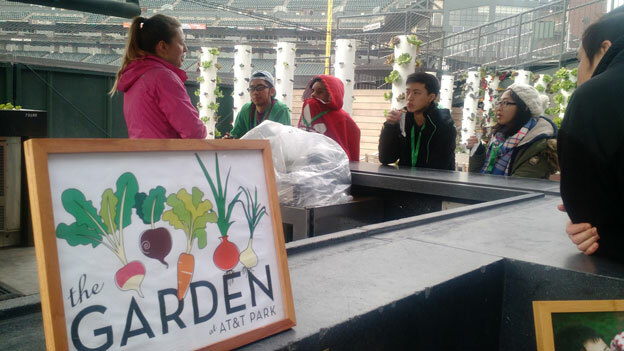 Beyond providing a one-of-a-kind food experience within AT&T Park, the Garden serves as a living, learning classroom that encourages children to live healthier, more active lives. 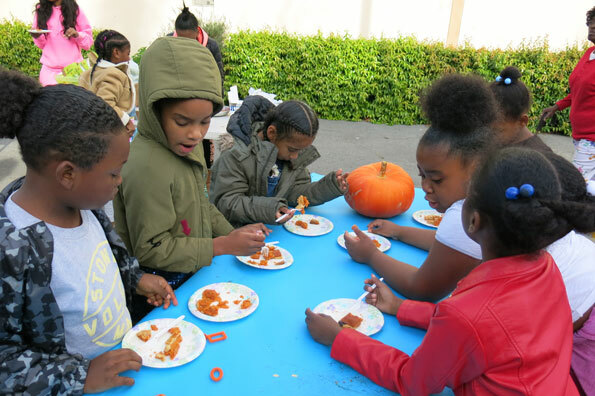 Through hands-on activities, children learn about the importance of healthy eating, see first-hand where food comes from and how it grows, and roll up their sleeves for a cooking class alongside Bay Area chefs. 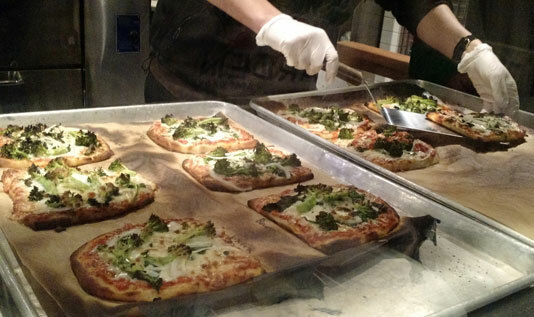 The BEETS enjoyed harvesting the huge stems of kale, chard and broccoli to make pizzas in the kitchen. 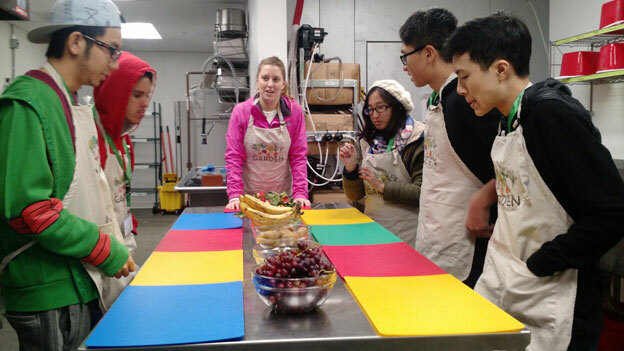 They also got to make fruit kabobs which were really delicious!